We’ve seriously got a problem. An additction, of sorts. We can’t seem to stop releasing stuff at the moment. Sure, we whinge about it non-stop. Usually on here, but as-usually to pretty much everybody we know on a personal level as well. The additional problem perpetuating the aforementioned is that there are simply too many bands that we dig that much that we cannot seem to help ourselves when it comes to orchestrating some sort of involvement in whatever capacity we can possibly dream up, lest the inner fan-boy within our person gets annoyed at us that we’re not really doing enough and mentally beats the crap out of us. But it’s cool. We can handle it. Doubly more so this time around. We’ve been fan-boys, both inner and outer, of Holland since we first clapped our earholes onto the demo for first-ever effort Lovely Bones circa the winter of 2011. Now one release proper down the line from that point down in time, we’re delighted to be releasing the Brighton boys’ debut album entitled Happiness Falls & The Bitter Blue in conjunction with their own 1945 Records. It’s out on 20th March 2013. We’re doing the digital, and they the physical. In certain circles, this is known as a split-label release. In our circle, this is known as a fuckyeah. What’s more is that there is a rather substantial tour the chappies will be embarking upon in March 2013 so you can hear this powerful set of songwritery-ness live and in the flesh. Read that press releasey thang below for more information. 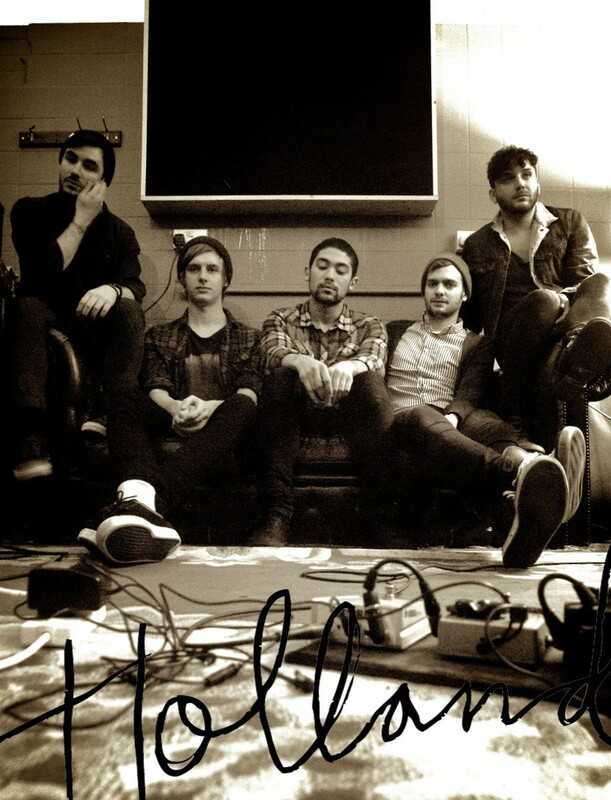 Holland are a 5 piece band from Brighton formed in late 2011. Their debut single “Lovely Bones” was released on metalcore Rolo Tomassi’s Destination Moon label in 2012 and was well recieved, being played on BBC Introducing and often cited as a mixture of the dark alt. indie of Mew and Brand New coupled with the homespun shoegaze of Slowdive and My Bloody Valentine. 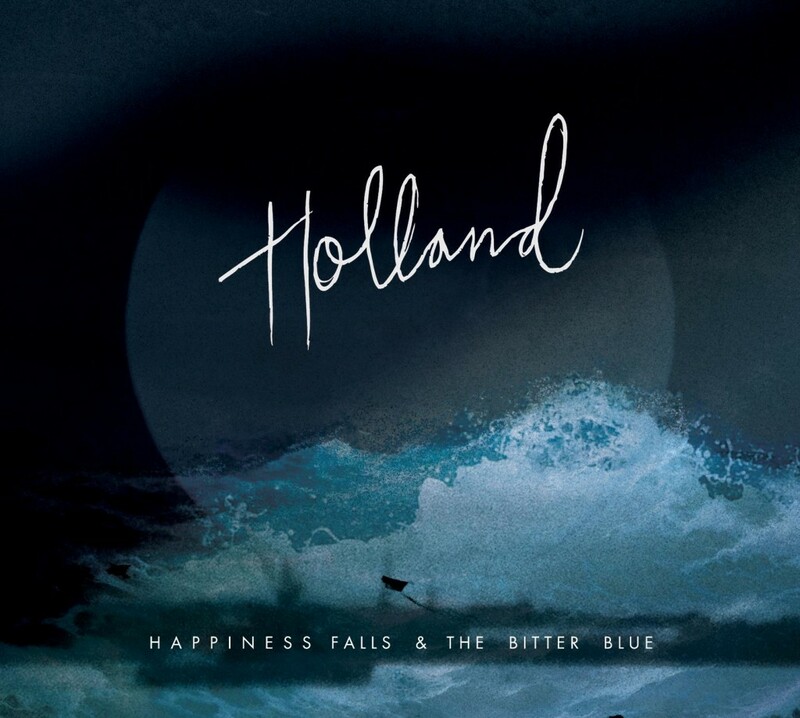 Having toured throughout the year the band headed into the studio to record their first long player, Happiness Falls & The Bitter Blue, which is due to be released on their own 1945 label (physical) and Killing Moon Records (digital) on 20/3/13.